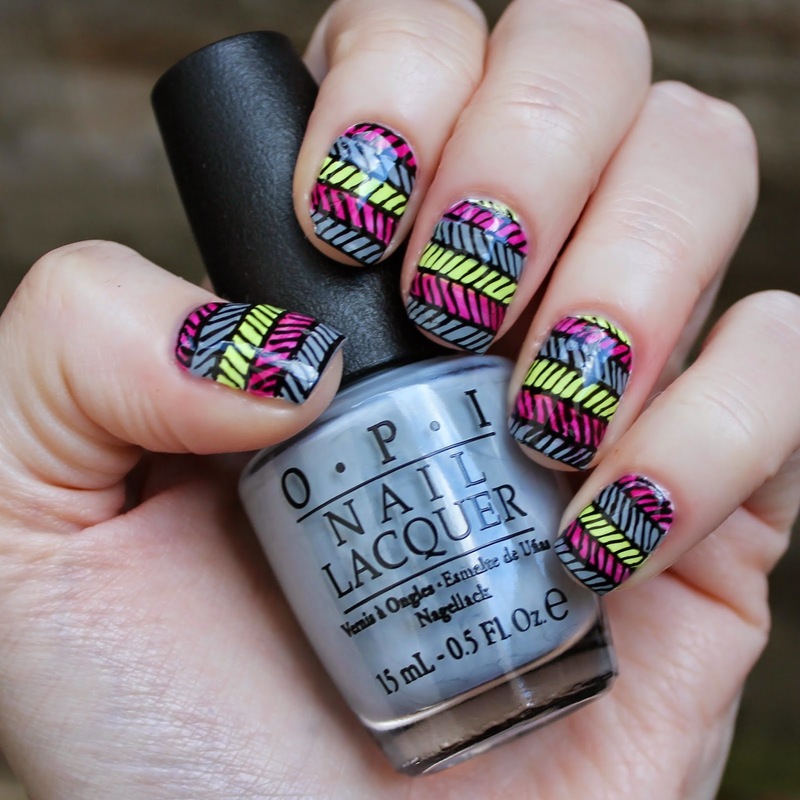 The inspiration for this mani came from a pic that Jo posted on Instagram right back when we first started. There's no blog post for the look as it was taken just before the blog actually started when we were really getting into nail art. I remember Jo not liking the colours she used originally (red, green and blue I think) but I quite liked her combo. For my version I used a trio of OPI polishes: Cement the Deal*, Life Gave Me Lemons*, and Houston We Have A Purple. I love this grey from the Fifty Shades collection and ordinarily I love the purple but it looks a tad washed out. I used a white base to start and then painted rough stripes in my chosen colours. You don't need to be too particular with the stripes as the black lines will mask any little mistakes. Before drawing the lines I painted 2-3 coats of each colour and topped with a coat of Seche. 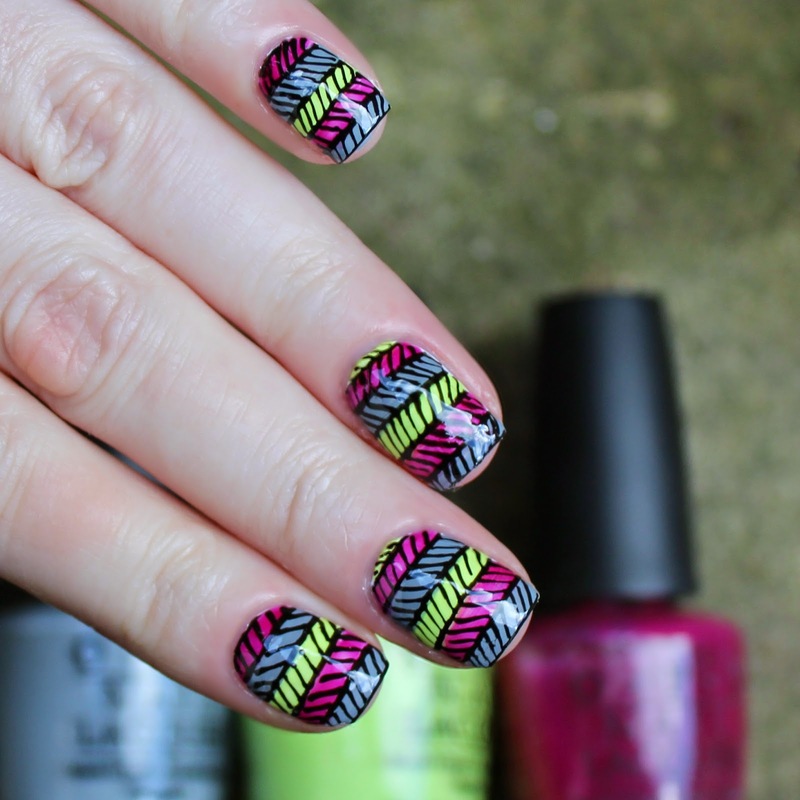 After drawing the lines I topped with another coat of Seche. I have loved revisiting some old designs recently, especially taking on some of Jo's. Are there any of our old designs that you'd like us to redo?